What does innovation look like at a 300 year old paint and materials company with 40,000 employees? 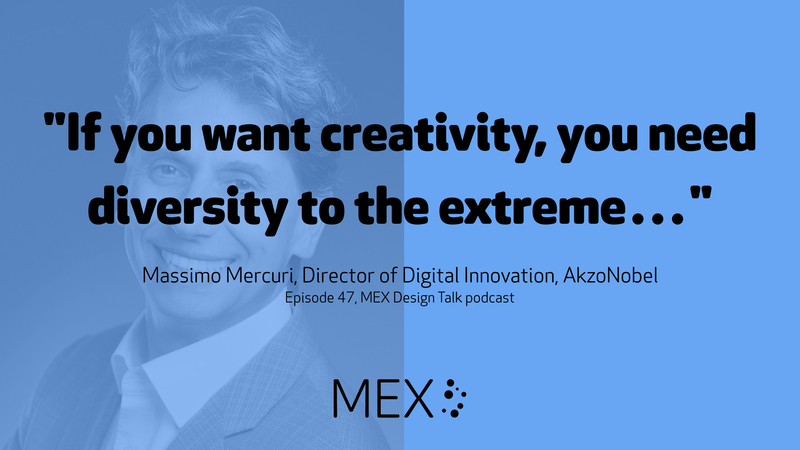 Massimo Mercuri, Director of Digital Innovation at AkzoNobel, sits down for a chat with MEX founder Marek Pawlowski, exploring everything from creative workshop methods to cutting edge experiments with wearables, biometrics and performance analysis on the high seas. Crucially, they talk about how to keep forward thinking activities grounded in the reality of customers’ lives and the role of diverse teams in making it all happen – fast and at scale. Get in touch with feedback and questions @mexfeed on Twitter or email designtalk@mobileuserexperience.com. Our next MEX dining club is in London on 21st June 2018. Get in touch if you’d like an invite – it’s a relaxed dinner talking about experience design with fellow pioneers.